As part of the wagon building programme for Farthing, I wanted one of the GWR's early one-plank opens with wooden solebars. 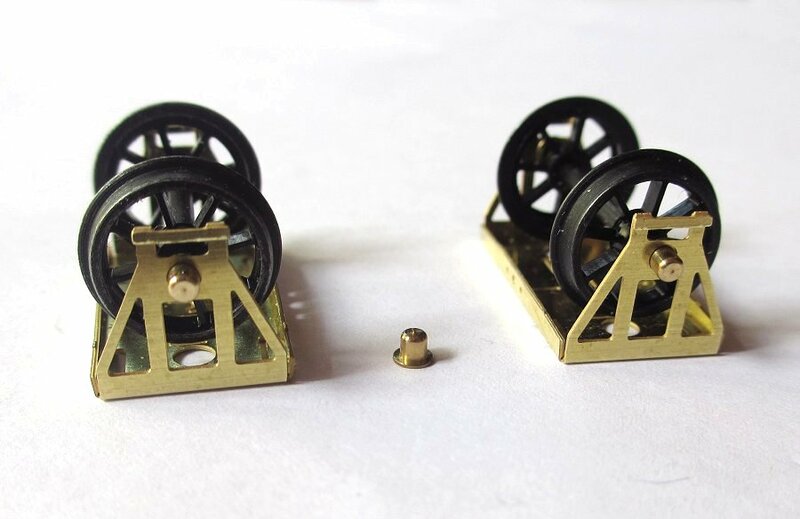 There is no 4mm kit available, but then Wagonman over on RMweb pointed out that they are in fact a very straightforward design. 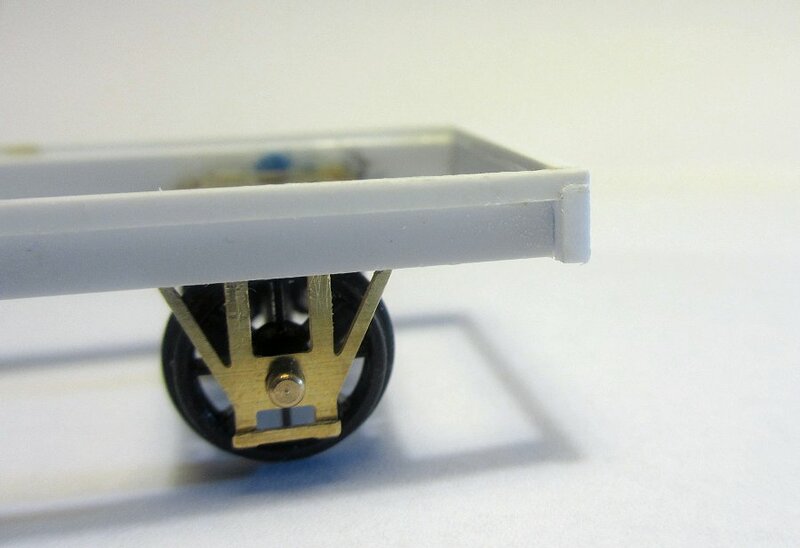 So I thought it would be a good opportunity to gain some experience in scratchbuilding wagons, which I’ve never tried before. I chose to build one of the 18ft types - namely no. 5141, of which there is a drawing and photo in "GWR Goods Wagons" by Atkins et al. Thanks to RMwebber Buffalo, another good photo was found in the BGS Broadsheet No. 46. 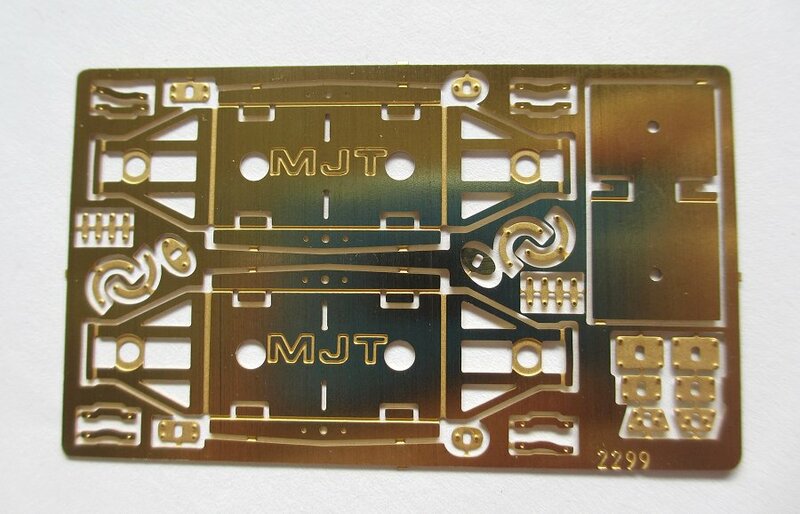 Yet another RMwebber - Miss P - recently pointed me in the direction of the MJT range of underframe components. 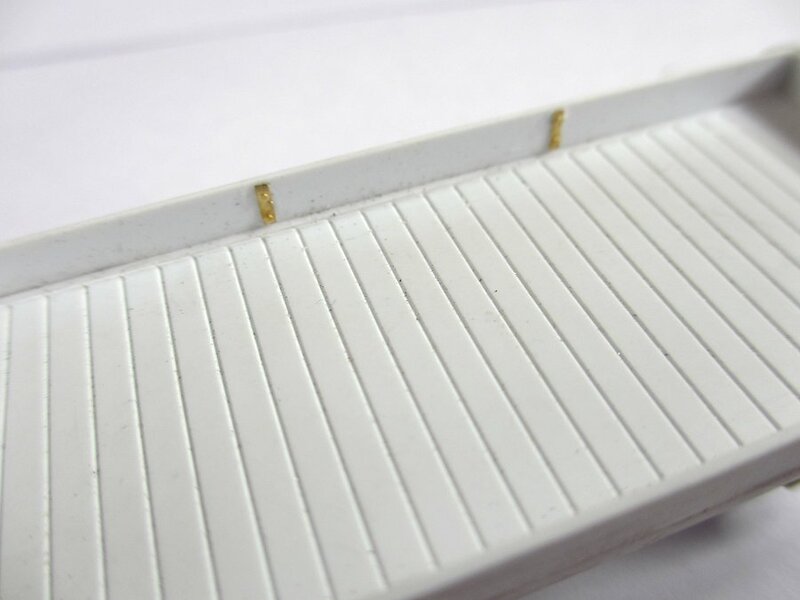 This etch for their (rocking) axleguard units is very nice and has the added advantage of some good plates and rivet strips. The axleguard units fold up nicely in just a few seconds. They are designed to be compensated by allowing one unit to rock under the wagon, but I didn't really see the need in my case. There are guide holes on the back for punching rivets, but I didn't have an appropriate tool and so will add them later. I built the wagon directly on the axleguards. This seemed easier and safer at the time. In light of what happened later, it would probably have been better to build the body first, then add the axleguards. Regardless, this shot illustrates that scratchbuilding a wagon doesn't have to be rocket science. "GWR Goods Wagons" has a useful cross-section diagram in the introductory section which shows how wagons with wooden solebars were built up. I tried to follow this as far as possible. 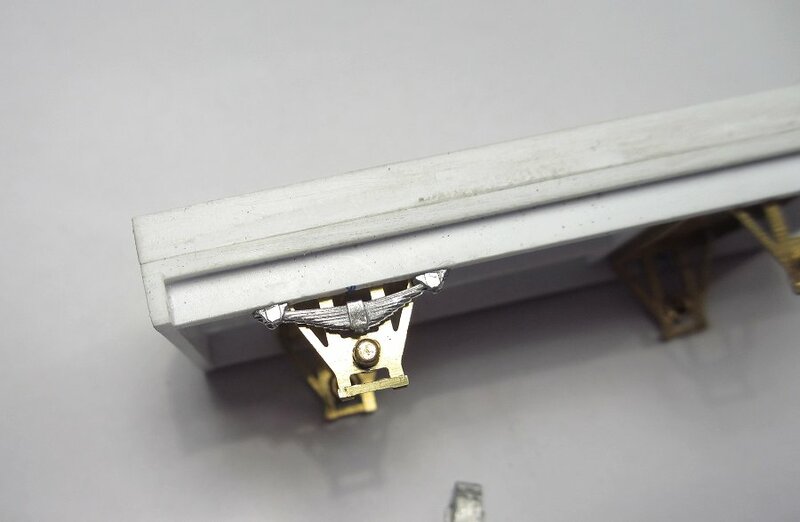 Here the "side rail" has been added to the solebars. On these particular wagons, the side rail extended over the headstocks as seen here. Gotta keep things level. 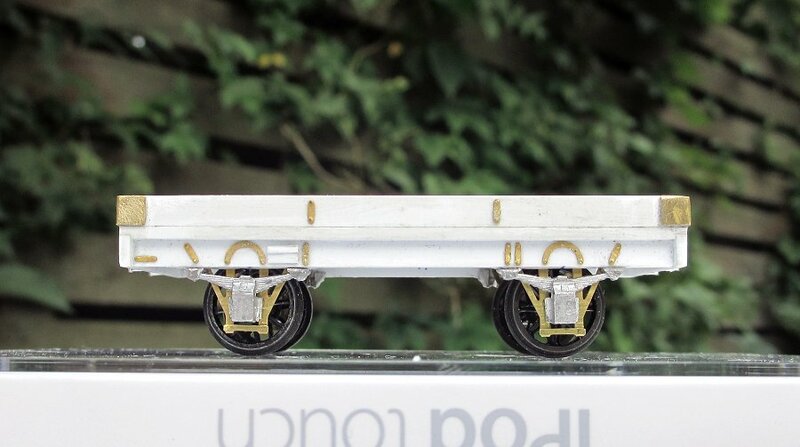 This wagon was partly built while on holiday, so I used an app in my smartphone which turns it into a spirit level - a tip I got from Phil Parker's Blog (the exact page eludes me). There are various apps available for this purposes, I use one called "Carpenter's Friend". 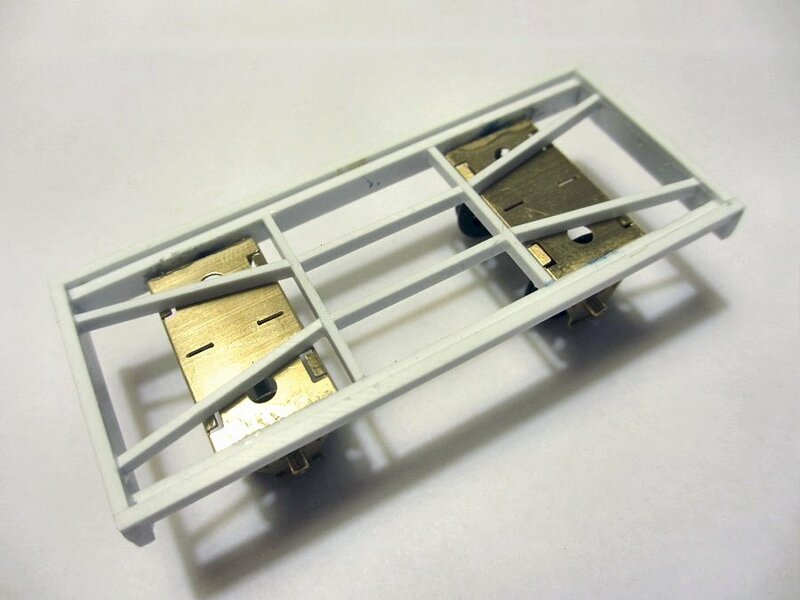 I tried to build up the underframe bracing using an illustration in "GWR Goods Wagons." That's one of the nice things about scratchbuilding, you begin to understand how things were constructed. Here the floor has been fitted between the side rails. 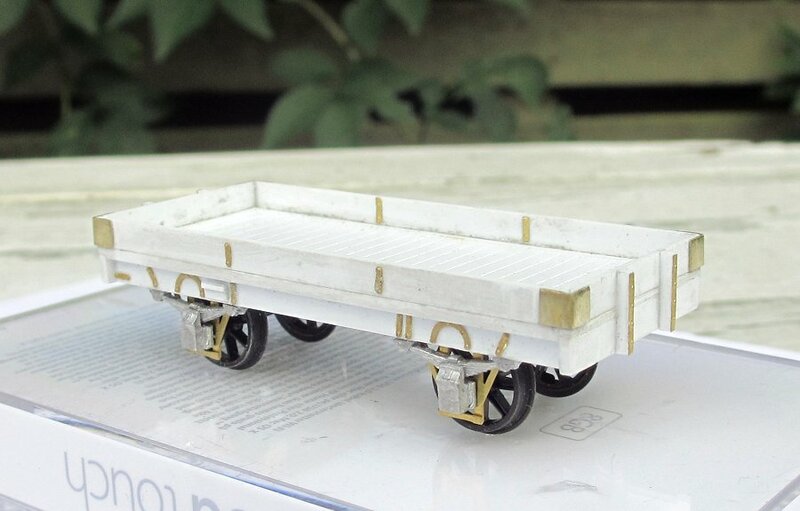 The floor planks should extend to the end of the wagon, but because the styrene sheet is thin it would look wrong when seen from the end. 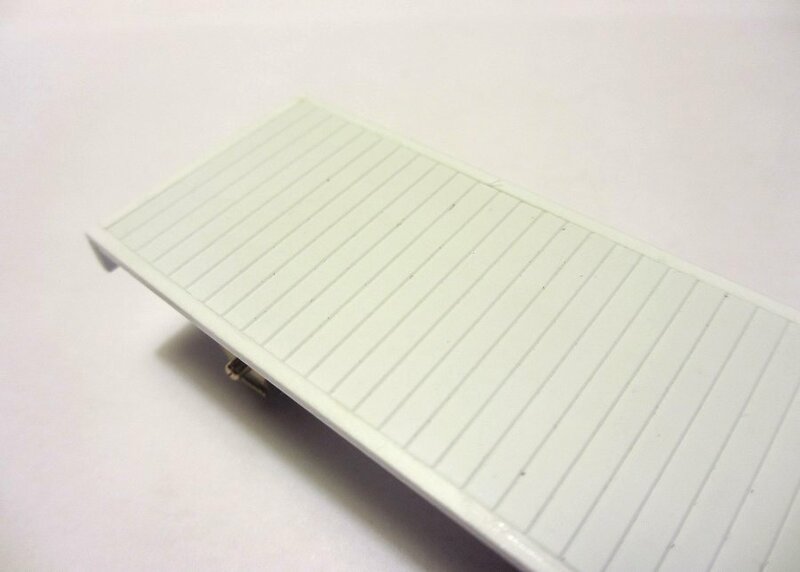 So I added separate deeper styrene sections at the ends. This trick cannot be seen when the wagon is fully built up. Uh-oh! Up to this point things had been going smoothly. I was becoming smug. I had visions of scratchbuilding the Eiffel Tower. Blindfolded. In 1:1. Then I put the wagon on the drawing and came right back to earth: The body was sitting too high on the axleguards. There followed a lengthy process of dismantling nearly everything, swearing, becoming impatient, getting glue all over the place, blaming the government, swearing some more and finally managing to re-assemble the whole thing. I ended up back where I started, but with the axleguards now at the right height and the side planks added. The side- and end- planks were 11 inches heigh.The siderails can be seen inside the wagon, as per the prototype. 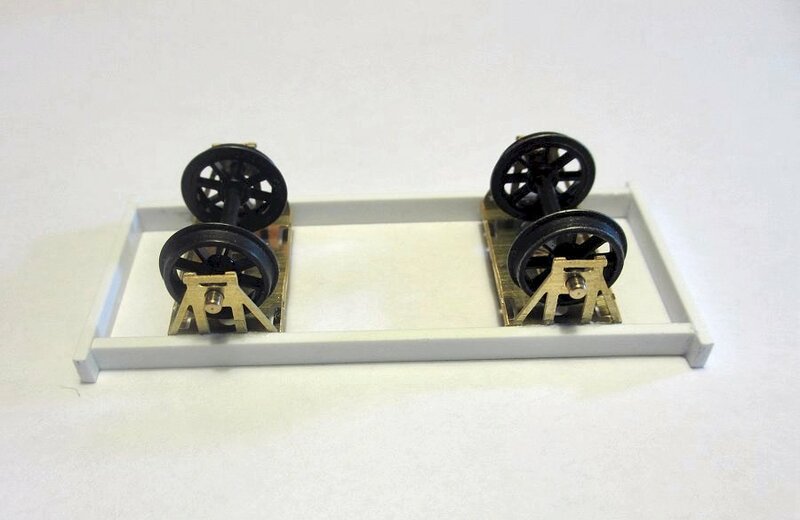 MJT have some nice GWR grease axleboxes (right) that are a good fit with the axleguards unit I was using. But they are fitted with the standard 4 (5?) leaf springs, which later became standard - whereas no. 5141 that I was building had 9-leaf springs. 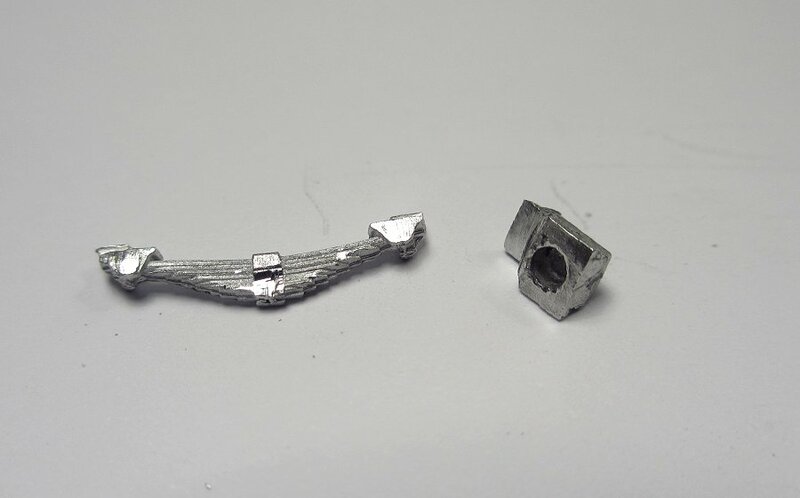 MJT also have some universal 9-leaf springs, but only separately (left). So I cut away the 4-leaf springs and prepared the 9-leaf ones for adding to the grease axleboxes instead.The hole in the back of the axlebox fits over the bearings in the axleguards. Miss One Planker wearing her jewellery. Axleboxes, springs and detailing in place. 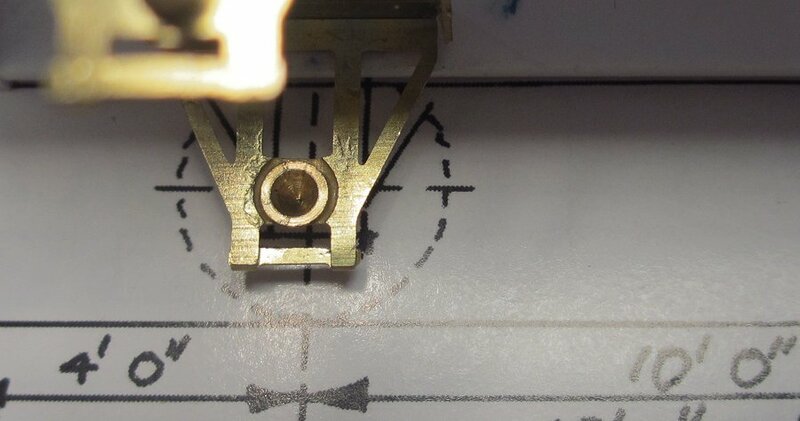 For the detailing I bought this nice set of wagon detailing etches from Mainly Trains. As it turned out I only used a few of the parts, as most of it was already on the MJT axleguard etches, which are even crisper. 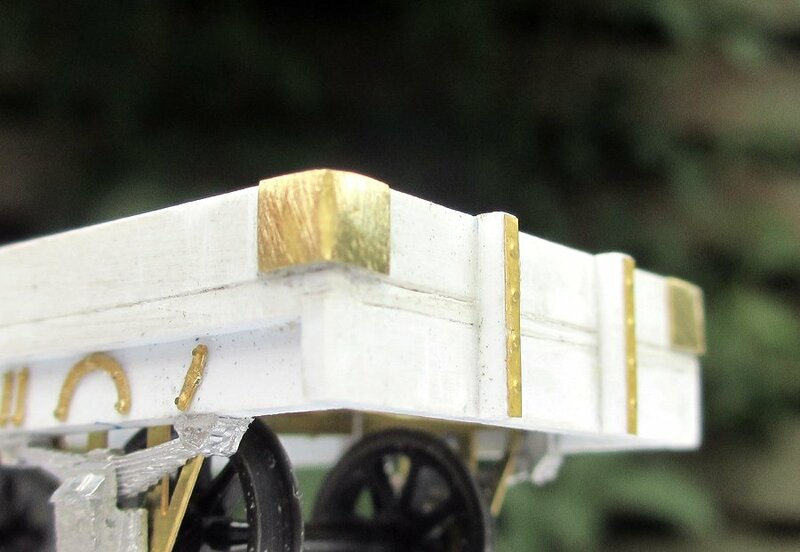 The one-plankers had wooden end stanchions with metal plates, which adds character to the wagons, I think. 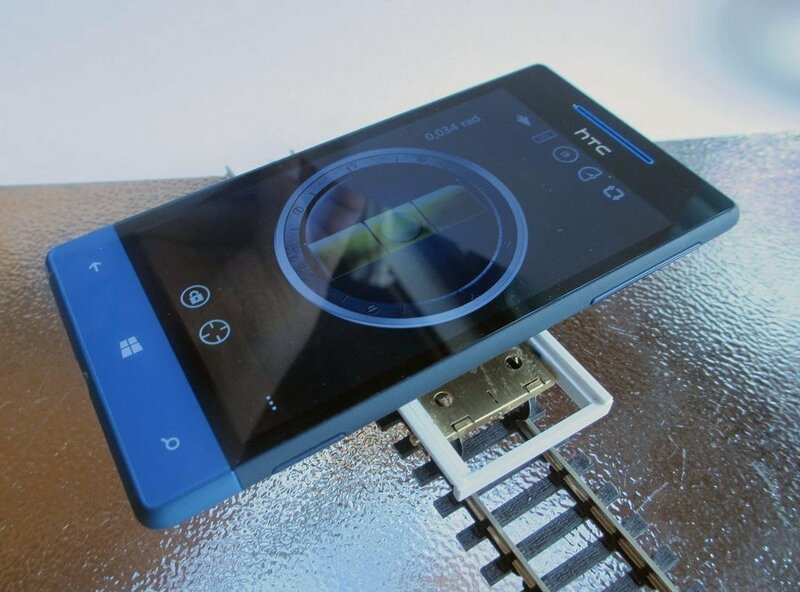 I had planned to use the cornerplates from the Mainly Trains etch seen above, but the rivet pattern was wrong. So instead I used scrap parts from the etch, and will add the rivets later. So this is how far I've come. She's a little dirty here and there after the unplanned rebuild, but that should clean up. I need to add buffers, brake gear and not least rivets. 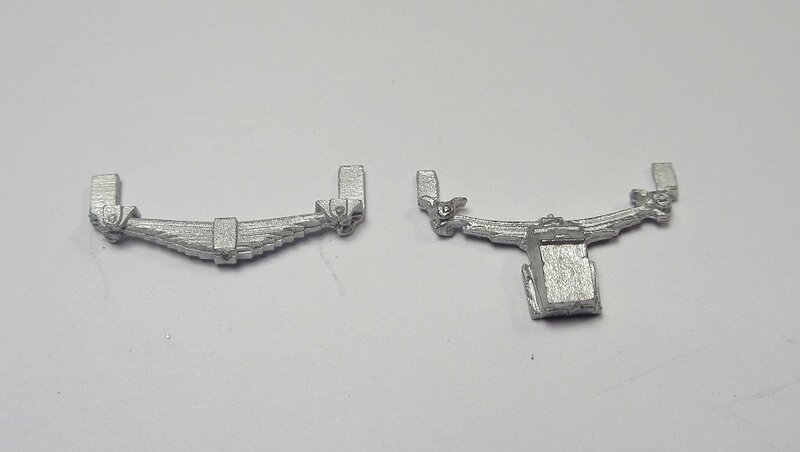 For the latter I've ordered some rivet transfers, which will be interesting to try out. Many thanks to Wagonman, Buffalo and Miss P. on RMweb for the help and tips so far.